Leaders of the Shanghai Cooperation Organization (SCO) are traveling to this scenic Chinese coastal city for a summit over the weekend set to open a new chapter in the bloc's history. As a founding member and the cradle of the SCO, China has played an important role in developing the 17-year-old organization into the world's largest regional institution. Particularly, under the leadership of Chinese President Xi Jinping, Beijing has been offering more and more wisdom for the SCO to advance into a new era with more possibilities and a brighter future. The bedrock of the SCO's remarkable development is the Shanghai Spirit, which features mutual trust, mutual benefit, equality, consultation, respect for cultural diversity and pursuit of common development. Over the past five years, Xi has further enriched the Shanghai Spirit with such philosophical concepts as cultivating a new type of international relations and building a community with a shared future for mankind. Meanwhile, China has also been boosting SCO cooperation with new practical proposals promising benefits to all involved, with the flagship being the Belt and Road Initiative, which was put forward by Xi in 2013. China-proposed initiatives "bear profound strategic character," SCO Secretary-General Rashid Alimov told Xinhua in an interview, stressing the importance of aligning the Belt and Road Initiative with the development strategies of all SCO members. "Xi Jinping is providing a visionary and inspiring leadership not just to China but also to Asia and the whole world," said Sudheendra Kulkarni, a former chairman of Observer Research Foundation, an Indian think tank. Over the past five years, a series of major joint projects have been rolled out within the SCO's framework, steadily improving cross-border logistics and promoting its members' development. In 2017, China's trade with other SCO members totaled 217.6 billion U.S. dollars, and the trade structure continued to improve, with mechanical equipment and mechanical and electrical products taking up a larger share, according to the Chinese Ministry of Commerce. The ministry said that in the first quarter of 2018, trade between China and other SCO members increased 20.7 percent year on year, higher than the 19-percent annual growth last year. During the same period, it added, Chinese investment in other SCO countries reached 84 billion dollars, with several large energy, mining, and industrial projects progressing smoothly. In a recent interview with Xinhua, Kazakh President Nursultan Nazarbayev referred to the SCO's efforts to enhance development synergy with the Eurasian Economic Union and the Belt and Road Initiative, and expressed optimism about regional trade and economic cooperation. Such alignments, said the Kazakh president, would create conditions conducive to a future free trade zone within the SCO. Seventeen years after its establishment, the SCO has evolved from a security cooperation platform into an organization for comprehensive cooperation, including economic cooperation and people-to-people exchanges. As China hosts the first SCO summit after India and Pakistan became full members in 2017, the organization is widely believed to be marching into a new era. The SCO has emerged as an excellent multilateral mechanism for regional security, economic cooperation and transnational connectivity, said B.R. Deepak, a sinologist and professor of Chinese studies at the New Delhi-based Jawaharlal Nehru University. As the bloc grows on, Xi, in a meeting with SCO foreign ministers in April, called on all members to remain true to their original aspirations, advocate the Shanghai Spirit, and fully unleash the SCO's potential after its expansion. 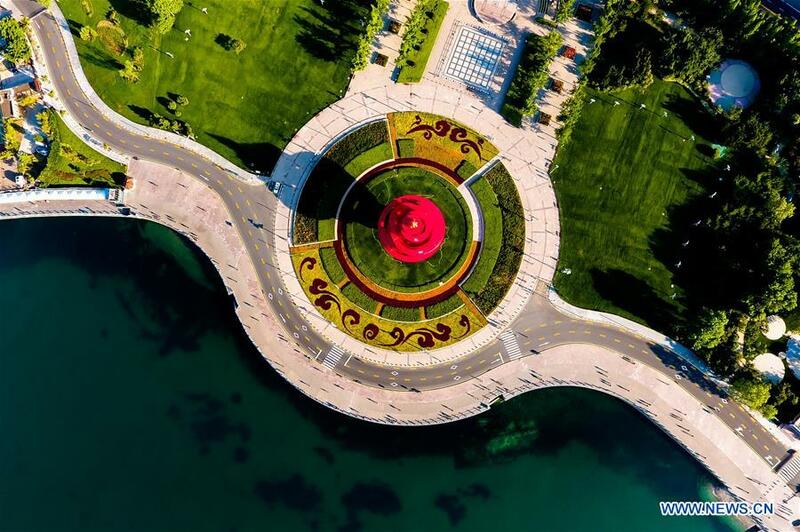 The Qingdao summit will be a historic meeting as it serves as a link between the past and the future, said Sun Zhuangzhi, head of the Institute of East European, Russian and Central Asian Studies at the Chinese Academy of Social Sciences. As the birthplace of the SCO, China will contribute more Chinese wisdom to its future development, he added.